Being a coding nerd I used to be totally against drag and drop style code builders. Most of them add too much code and cause more problems than they solve. But, my view has been changed by Beaver Builder. This isn’t something I just tried out last week, I’ve been using it for about a year now. Even for someone who can easily code up a page, Beaver Builder is great because you can focus on design and see what it’s going to look like as you create your content. It has totally changed the way we work! The number one marketing booster you can do for your website is to add relevant content and often. Most people get bogged down with the technology and never consistently add content to their sites, this is why we love beaver builder. It’s so easy to add content, so you don’t have any more excuses! Go add some content now! All of our new websites come with Beaver Builder, we make sure things are setup properly so our clients can easily edit any content on their site… and of course, add new content. Using BeaverBuilder is so easy, we have not had any clients have a problem with it, that is baffling! Any clients that say they don’t know how to use it or it is too hard, didn’t try it. I’ve caught a couple people doing that, before even trying it they say “it’s too hard”… haha! Comment or contact us if you have any question. 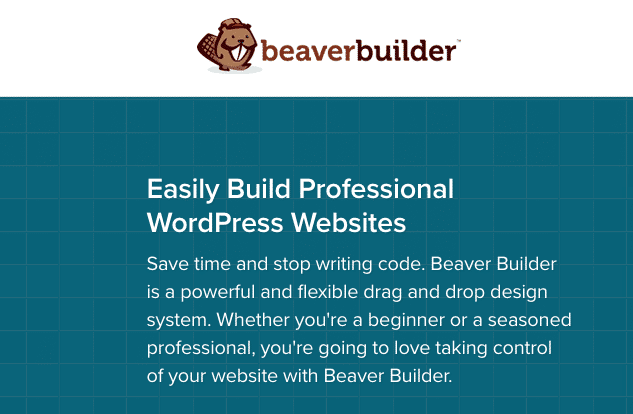 We can get Beaver Builder set up on your WordPress blog today! Beaver builder is awesome, thanks for the tip!